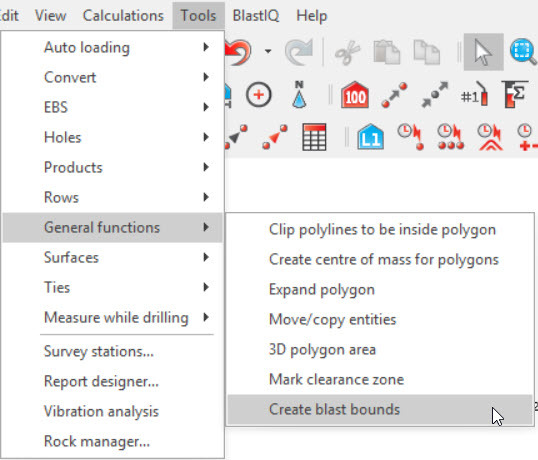 Blast boundaries can be created in two ways in SHOTPlus. 1. Go to Tools / General functions / Create blast bounds. 2. Enter in the offset from holes value. 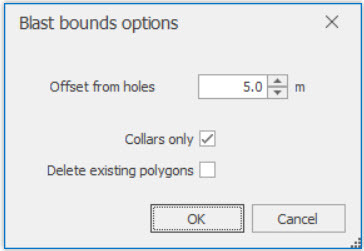 If the 'Delete existing polygon' option is selected, when you click ok, this will delete any existing polygons that are defined as a blast boundary and will replace it with the one being created. 4. The blast boundary can be easily edited by unlocking the layer in the Layer manager. Points can then be dragged in or out as required to modify the boundary. 6. 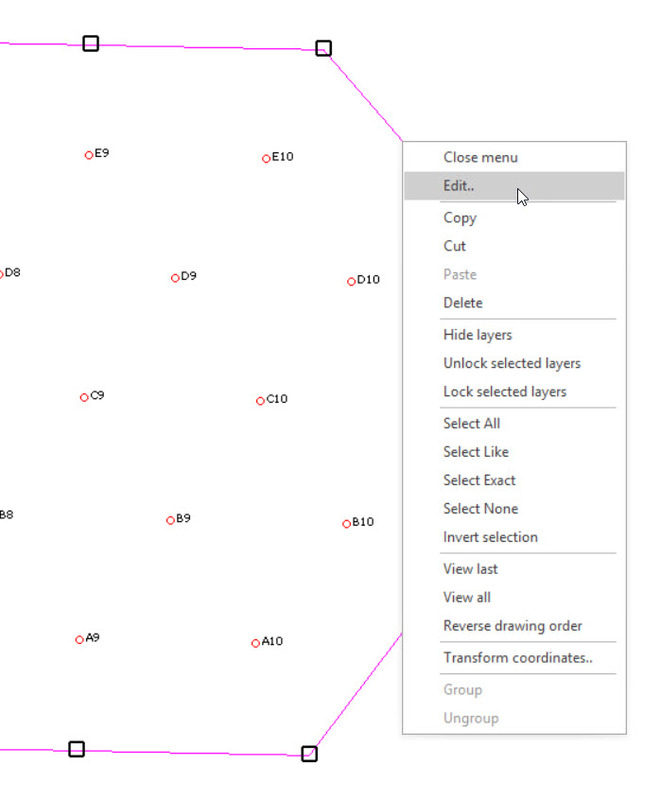 Points can also be added to the polygon by right clicking on the polygon and selecting Edit. Using the Edit window, a point can be added after the selected point (the arrows on the left of the window allow you to move between points to select the correct one). 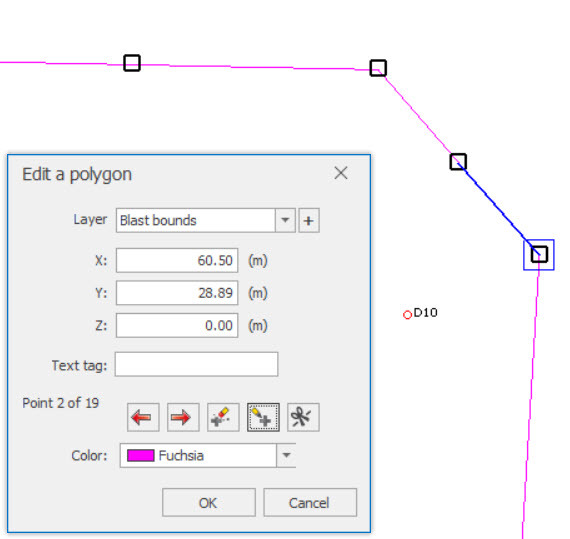 This will make it easier to create an accurate boundary around tighter areas. 1. Using the 3D polygon tool, draw a polygon around the outer edge of the blast. 2. 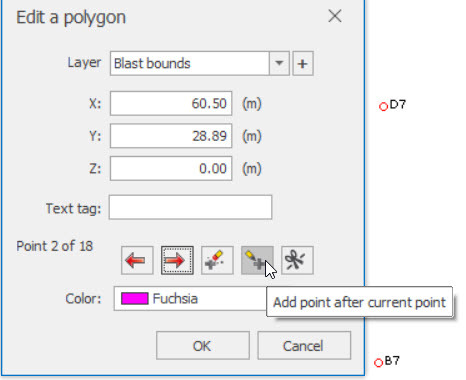 Go to Tools / General functions / Expand polygon, and enter how much the polygon needs to be expanded around the outer edges of the blast (eg half a burden). 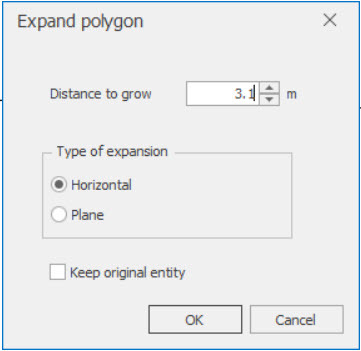 Click OK, and the polygon will be expanded by this value. 3. 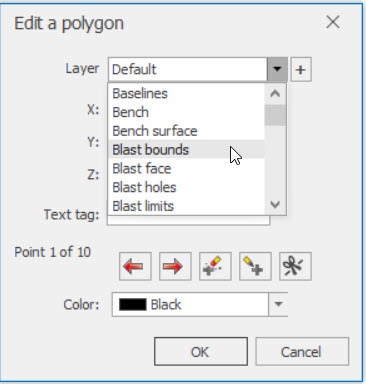 To define the polygon as a blast boundary, select the polygon and right click. 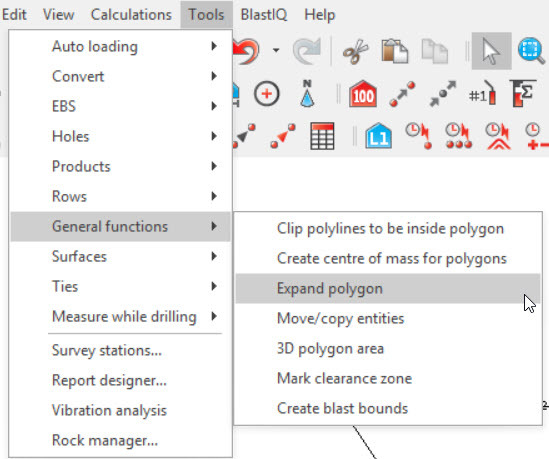 Select Edit, and the using the drop down list on the window that appears, select the blast bounds layer.